One of the strengths of Daramalan College is the emphasis we place on planning and providing the best possible physical facilities and academic resources for all our students. 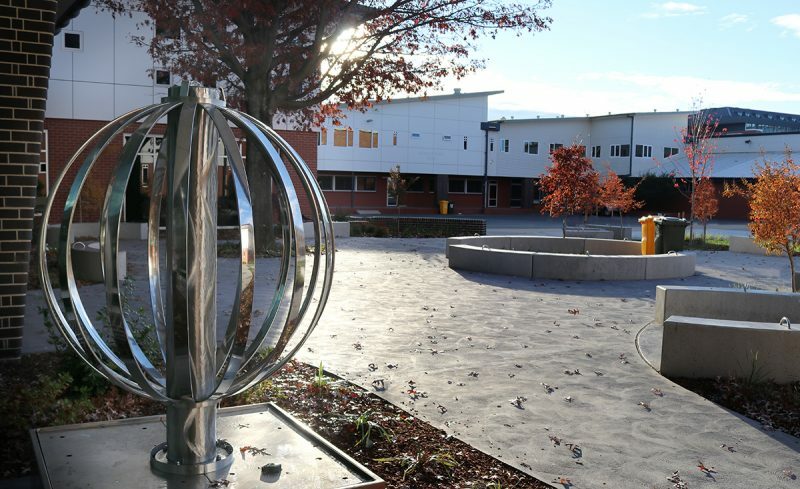 The role of providing these facilities is a partnership between the College, Government – both Federal and Territory – and, most importantly, the generosity of parents, alumni, staff and friends. The financial support we receive from the Daramalan Family ensures that the school can direct funds to vital projects that otherwise might not otherwise receive funding. We are better able to maintain and improve facilities, enhance academic and co-curricular programs and enrich the teaching and learning experiences of our students. Donations to the Building Fund are an integral part of enrolment at Daramalan and these tax-deductible donations are the means by which we can achieve our long-term goal of ensuring our students have the resources required for achieving an excellent education. The College Foundation also provides for tax deductible donations. Alumni and all parents are encouraged to make donations to the Foundation. Bequests are welcome. For information on making bequests please contact Hugh Boulter at the College. The funds of the Building Fund and the Foundation are usually applied to capital projects, but may also be used for major maintenance needs. 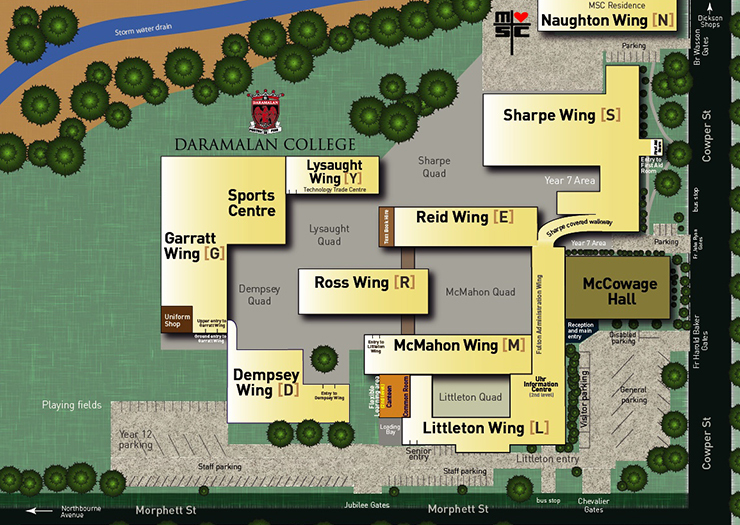 During 2009 the College Board spent time prioritising areas in the College in need of upgrading. Early in 2010 the Board agreed to progress planning for the replacement of the Lysaught Wing and detailed work with the architect, Paul Barnett Design Group, started in earnest. In mid October 2011 building work finally began on the Sharpe Wing Extension and it concluded late in 2012. This was the first stage in a two stage project that now provides contemporary learning spaces for Technology & Design, Furniture, Wood Technology, Graphics and Fashion. The second stage of the project was the Lysaught Wing. Known as the Dickson Area Trade Training Centre, this facility opened in 2014 and provides outstanding new area for vocational training in Metal Engineering and Auto Technology. The Trade Training Centre was funded substantially by the Federal Government through the Trade Training Centre in Schools Program. Both these projects were built by Total Project Construction. In addition to the new Lysaught Wing, a new shade shelter was constructed late in 2013 and student toilet amenities were renovated in readiness for the 2014 school year. In 2014 we began building a new canteen facility which has a flexible learning area located above it which opened in 2015. We were able to fund this project because of the generous contributions by families to the Building Fund. In 2016 work began on replacing the Dempsey Wing. 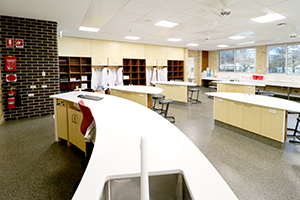 This Wing has five Science laboratories and associated Prep Rooms, as well as a Staff Room and three general purpose classrooms on the upper level. The building was opened in May 2017. 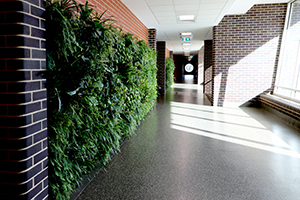 The final stage of the new Dempsey Wing is the water feature and landscaping (pictured) which was designed to provide a variety of spaces for the use of students. The Dempsey Wing (including the landscaping) is now completed. For 2019, an ongoing program of incremental improvements is in operation including new basketball court facilities, new seating for students, additional landscaping and student facilities.